Now eighteen years later, she can still barely remember anything about her experience (or chooses not to). However the past comes back to haunt her When somebody plants Black-Eyed Susans outside her window, and starts to think that the man convicted of the crime Terrell Goodwin (still behind bars) may not be guilty and that the original killer may still be on the loose, and becomes increasingly concerned about the safety of her 14-year-old daughter and is still living in fear, still frightened for her mental state. She agrees to help a team of lawyers who are working to free Goodman from death row, and in turn find the real killer and is drawn into a last-ditch attempt to save Goodwin by his lawyers and begins to dig, tentatively, into her past. Revealing that three days after the trial ended, after Goodwin was locked up, a clump of black-eyed susans was planted by her window complete with a twisted version of an 18th-century poem – “Oh Susan, Susan, lovely dear… I never want to hurt you again/ But if you tell, I will make Lydia/ A Susan, too” – she starts to peer into her shrouded memories. Goodwin’s lawyers, meanwhile, start exhuming bones and employing cutting-edge forensics in an attempt to prove his innocence, and Effie, Tessa’s elderly neighbour, is complaining about a thief who she says is haunting the neighbourhood. English magician and television performer Paul Daniels, Tragically died 17 March, aged 77, two weeks and six days before his 78th birthday. Daniels was born Newton Edward Daniels at South Bank, Middlesbrough, on 6 April 1938, He attended Sir William Turners Grammar School on Coatham Road in Coatham, Redcar, and his first job as a junior clerk in the treasurer’s office of Eston Council. Daniels also served as a conscript in the 1st Battalion, the Green Howards, during his national service and was posted to the British garrison in Hong Kong, before training as an accountant in local government. Even at this early age he had thinning hair which he claimed to be an act of ‘magic’. Daniels later sported a wig for much of his television career. After working as a junior clerk and then as an auditor in local government, Daniels joined his parents in the grocery business they were running at the time. He later set up his own shop – at one point a mobile shop – but eventually gave this up in favour of his growing career as a magician. in 1969 Daniels was offered a summer season at Newquay. He decided to sell his grocery business and try magic as a full-time career. He made his television debut on the long-running talent show Opportunity Knocks in 1970, and came second. Television producer Johnnie Hamp later gave him a regular spot on a show compèred by Bernard Manning, The Wheeltappers and Shunters Social Club, for Granada Television. In 1978 ITV gave Daniels his own Sunday night show Paul Daniels’ Blackpool Bonanza.His first series for the BBC was For My Next Trick, where Daniels appeared with several other magicians and singer Faith Brown.This led to Daniels presenting his own television series, The Paul Daniels Magic Show, on BBC1 from 1979 until 1994. This featured tricks and illusions for pure entertainment, and a regular segment (the “Bunko Booth”) in which he debunked the confidence tricks of street charlatans. Daniels also starred in his own stage show, It’s Magic, at the Prince of Wales Theatre from 10 December 1980 until 6 February 1994. He began working with his future wife, Debbie McGee, whose role as his assistant would become a major feature of his act. She had first worked with him on his summer season show in Great Yarmouth in 1979. In addition to his magic shows he hosted a number of other television series during the 1980s and 1990s, including three BBC1 quiz shows: Odd One Out, Every Second Counts and Wipeout, and the children’s television programme Wizbit. In 1987, Daniels hosted a controversial Halloween live special of his magic show where he replicated a Harry Houdini escape from an iron maiden. The trick was deliberately staged to give the illusion that the escape had gone tragically wrong and Daniels had been killed – he was later broadcast as having successfully escaped from the device. Daniels and McGee starred in an episode of 2001 BBC documentary series When Louis Met…, presented by Louis Theroux. Daniels also appearing on Da Ali G Show in an Ali G costume, interviewed by Caroline Aherne in her guise as Mrs Merton. In 2004, Daniels and McGee appeared in The Farm, and in 2006, they appeared in the ITV show The X Factor: Battle of the Stars.Daniels and McGee also made a guest appearance in the Wife Swap series in early 2007, with McGee changing places with journalist and presenter Vanessa Feltz. Sadly In August 2011, while filming a scene for ITV’s Sooty, Daniels was struck by a flying pizza, thrown by the puppet Sooty and In 2012, Daniels and McGee appeared on All Star Mr & Mrs on ITV and In 2013, Daniels and Debbie McGee toured their ‘First Farewell Tour’. In 1982 Daniels was awarded the prestigious “Magician of the Year’” Award by the Academy of Magical Arts and was the first magician from outside the US to receive it. An Easter special of The Paul Daniels Magic Show won the Golden Rose of Montreux Award at the International TV Festival in Switzerland in 1985. In 1989 Daniels was awarded The Maskelyne, for services to British Magic by the Magic Circle and was also awarded the “Great Lafayette Award” by the Edinburgh International Magic Festival in 2011.In 2012, Daniels cut off his left index finger and the tip of his ring finger, in an accident with a circular saw, in the garden shed of his Wargrave home. He drove himself from his home to hospital in Henley-on-Thames, where the index finger was reattached. Sadly On 20 February 2016, he had a fall and was taken to hospital, where it was revealed by family that he had been diagnosed with an “incurable brain tumour. He will be sadly missed. In 432, he was called back to Ireland, though as a bishop, to Christianise the Irish from their native polytheism. 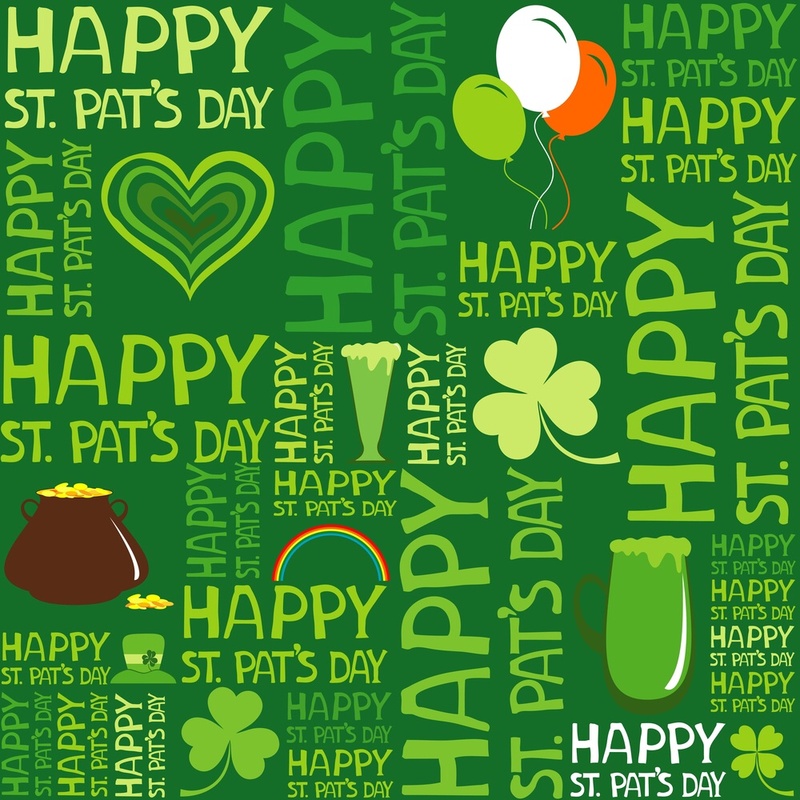 Irish folklore tells that one of his teaching methods included using the shamrock to explain the Christian doctrine of the Trinity to the Irish people. After nearly thirty years of evangelism, he died on 17 March 461, and according to tradition, was buried at Downpatrick. Although there were other more successful missions to Ireland from Rome, Patrick endured as the principal champion of Irish Christianity and is held in esteem in the Irish church.